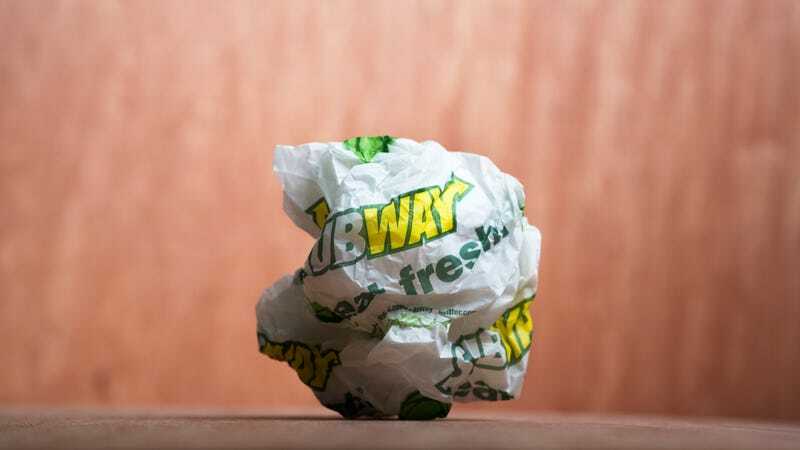 Sure, Subway has hit few bumps. Yes, it could hardly have selected a worse choice (unknowingly, but still) for a spokesperson. It announced last month that it’s closing hundred of stores in the U.S. So who could blame the brand for wanting to drum up some interest with a Twitter poll or two? Was it the term “bread bae”? The possibility that the Greek sub is actually heinous? We may never know for sure, but of Subway Canada’s 135,000 followers, not a one took the nanosecond it would take to vote for 9-Grain Honey bread or Tzatziki sauce. Ironically, these polls then attracted much more attention for the responses they didn’t get, resulting in a number of replies and retweets. While Subway’s social media person appears to be very responsive to complaints about various sandwiches or stores, when it comes to a little poll shade, we have to say they’re sounding pretty butthurt. Hey, Subway, social media is a hellish, mean-spirited minefield: You’d better develop a tougher skin before your next online poll. Meanwhile, relax: You’re still the largest restaurant chain in the world, with over 44,000 locations around the globe.